A never-before-published collection of letters - an intimate self-portrait as well as the portrait of a century. Saul Bellow was a dedicated correspondent until a couple of years before his death, and his letters, spanning eight decades, show us a twentieth-century life in all its richness and complexity. Friends, lovers, wives, colleagues, and fans all cross these pages. Some of the finest letters are to Bellow's fellow writers-William Faulkner, John Cheever, Philip Roth, Martin Amis, Ralph Ellison, Cynthia Ozick, and Wright Morris. Intimate, ironical, richly observant, and funny, these letters reveal the influcences at work in the man, and illuminate his enduring legacy-the novels that earned him a Nobel Prize and the admiration of the world over. 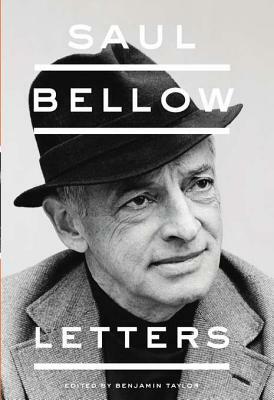 Saul Bellow: Letters is a major literary event and an important edition to Bellow's incomparable body of work. Saul Bellow's dazzling career as a novelist has been marked with numerous literary prizes, including the 1976 Nobel Prize, and the Gold Medal for the Novel. His other books include The Adventures of Augie March, Herzog, More Die of Heartbreak, Mosby's Memoirs and Other Stories, Mr. Sammler's Planet, Seize The Day and The Victim. Saul Bellow died in 2005.